If the opposition initiates a referendum on the euro, Latvia will fall behind the euro introduction timetable, which means the country will not be able to introduce the European single currency in 2014, Prime Minister Valdis Dombrovskis (Unity) said in a discussion organized by the popular Latvian news magazine ''Ir''. In regard to the euro implementation process, Latvia must prepare a report to the European Commission in January or February. 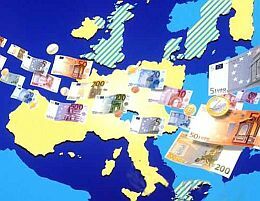 This would be followed by a review of Latvia's bid to join the European singles currency, with decisions made by several European institutions. ''Everything should be decided to July,'' Dombrovskis said. The prime minister pointed out that if the opposition initiates a referendum on this matters, then Latvia will fall behind the mentioned timetable, writes LETA. Dombrovskis added that, from a legal perspective, the vote on the euro took place simultaneously during the referendum to join the European Union in 2003. He also added that five of the ''new'' EU members that have joined the eurozone did not organize a referendum on this matter. As reported, earlier this week, the Saeima Budget and Finance Committee approved the euro implementation bill in principle; the parliament is to vote on the bill in the final reading on January 31, as the committee's chairman Janis Reirs (Unity) told LETA. Latvia is planning to adopt the euro on January 1, 2014.